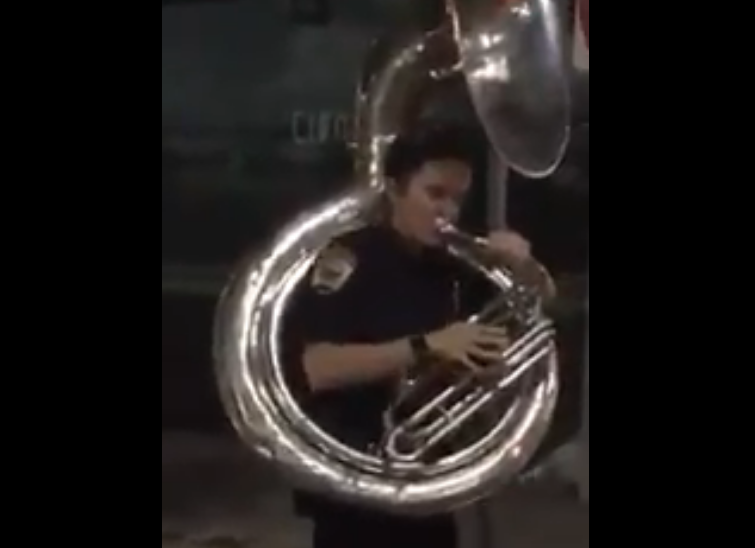 This viral video of a Gainesville police officer playing sousaphone with some Gator Band members on the street is quickly going viral for good reason. It's awesome. These types of moments help to build a positive interaction with police as citizens realize that they are people as well with mutual interests and pasts. You can take the 👮 out of the @UFGatorBand, but you can't take the 🎶 out of the cop! It turns out that the officer is actually a Gator Band alum. Officer Miller marched in the Gator Band as a student and now keeping campus safe. Well done!